Joseph Meredith emigrated to Canada sometime before 1831 and returned to England with his wife Ellen and six children before 1851. Subsequent censuses describe him variously as a surgeon dentist and late of the Canada Civil Service. Joseph Beete JUKES was born on 10 October 1811 in Summer Hill, Birmingham. He married Georgina Augusta MEREDITH, daughter of John MEREDITH and Jane Walker JONES, on 22 September 1849.2 Joseph Beete JUKES died on 29 July 1869, at age 57, in Dublin, Ireland. He was buried on 3 August 1869 in Birmingham, St. Mary’s. Constance MEREDITH was born about 1832. 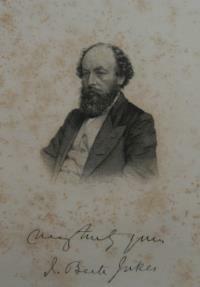 In 1861 Conway was living at 107 Lionel Street, Manager of Varnish Manufactory. In the 1871 Census he waqs a manager at the Pembrey Copper Works. He was still unmarried in 1891. Alban MEREDITH was born about 1838. Ernest MEREDITH was born about 1841. John STEPHENS was born about 1770. He married Mary HARRIS on 31 October 1803 in Eardisley, Herefordshire.2 John STEPHENS died before October 1837. Anne STEPHENS was born about 1782.1 She married -?- JOHNSON. Susannah Beaumont was from Brinsop near Hereford. 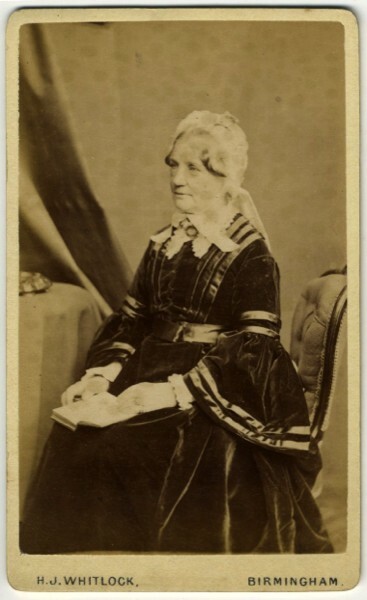 Susanna STEPHENS was born about 1810. Mary Jane Stephens was living with her sister Louisa Coxe in London in 1851. Octavia STEPHENS was born about 1824. In 1861 James Lawrence Stephens was an Ironmonger employing 4 men and living at High Town, Hereford. In 1871 he was a Wines & Spirits agent living at 7 Bridge Street, Hereford.